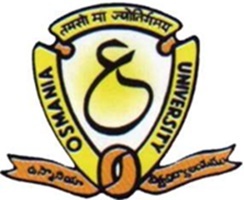 OU Degree 1st, 3rd, 5th Sem (CBCS) Notification Nov 2018: It is hereby notified to all the eligible I, III &V Semester(Regular) candidates of B.A /B.S.W /B.Com(General) /B.Com(Computers)/ B.Com(Honours) / B.Com(other courses)/ B.Sc., B.B.A. course(s) I,III & V Semester(CBCS) enrolled during the academic year 2018-2019. The following is the schedule for the payment of examination fee and submission of the examination application forms (EAF) at their respective colleges. Migration Fee 125/- : (Candidates who took admission from other Board/University). All B.A. B.Com. B.Sc., B.S.W. & B.B.A. I – Semester candidates who are appearing for the University Examinations for the First time should pay Examination Processing Fee of Rs. 200/- (one time basis) in addition to the examination fee. Kindly, collect the examination fee from the candidates for I, III&V (Regular) Semester-2018 as mentioned above and remit the same to the Registrar OU Fee Fund A/c No. 52198262033 as specified in the notification.